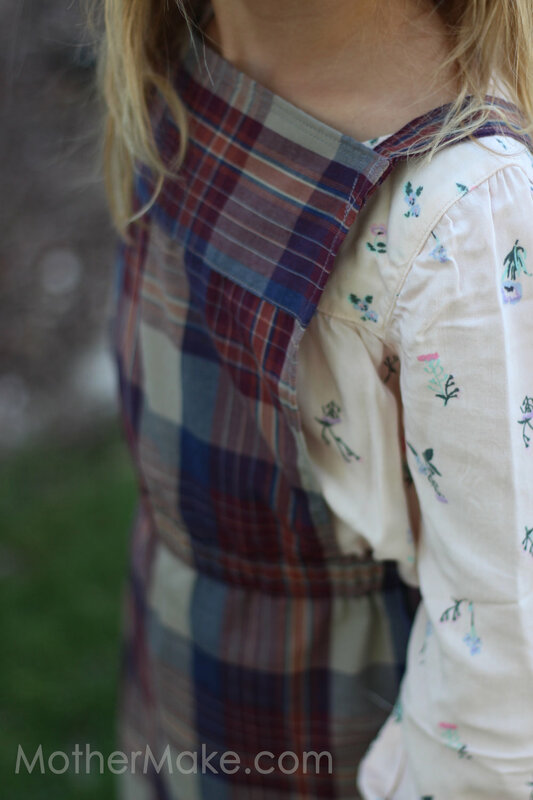 In this Tutorial I'll teach you how to turn an extra-large men's dress shirt into the cutest vintage overalls. I love this before and after and already want to make this one again. This Tutorial is a moderately easy to-do-yourself project. The part that takes the longest time is threading the elastic through the ankle cuff and the waist band. The shirt I started with had two large pockets on the front, I tried to save those pockets as the pockets for the pants. In retrospect I wish I would have unpicked the pockets and re attached them after. It would have given me more material to work with because I wouldn’t have been limited by the placement of the pockets. Basic sewing supplies like pins, scissors, and a sewing machine. Follow along with this tutorial to make this project yourself. 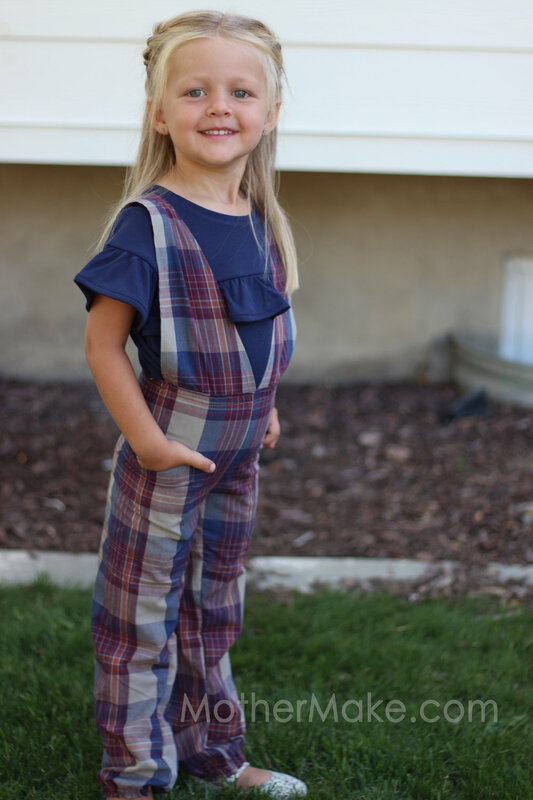 I started making these for my older daughter Navy, who is 4, but they were too small when I was done. They turned out to be a very snug fit on my 3-year-old Robin. Fitting is the most stressful part of sewing. Sometimes it is a hit or miss and this time was a miss. I always try and sew big but sometimes I’m limited by the material. My suggestion is to always sew two inches bigger than what you think and then you have room to adjust the size. 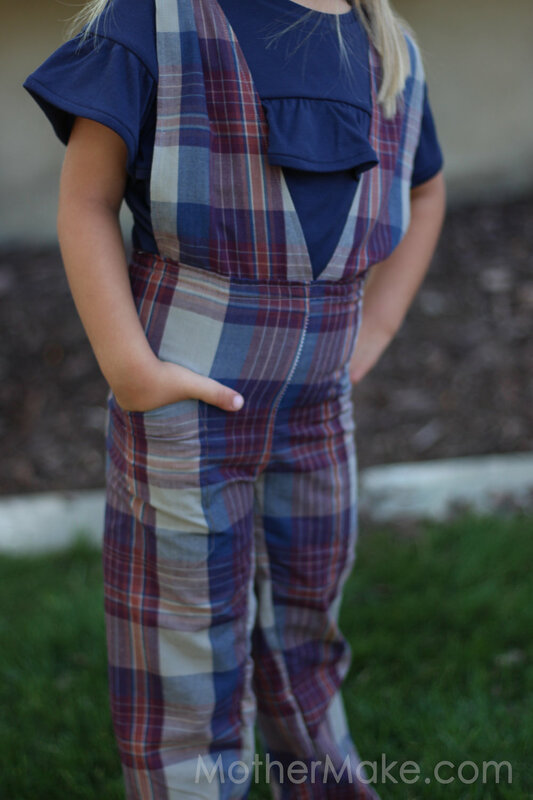 Once I was done with the overalls I had enough leftover material to make another outfit for Navy. 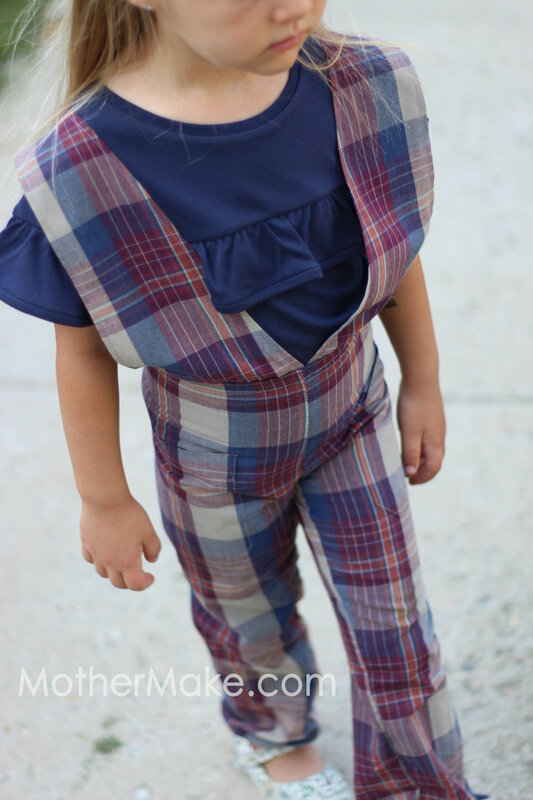 I used my pinafore dress tutorial to make her a matching dress. For this Project I used Grandpa Tony’s Shirt. When we came and showed him and Grandma Marie their outfits Marie started crying. She loved seeing these girls in something she had bought for Tony. Tony said he never knew his shirt could look so good. We love these Grandparents and I loved seeing their reaction to what I had made.